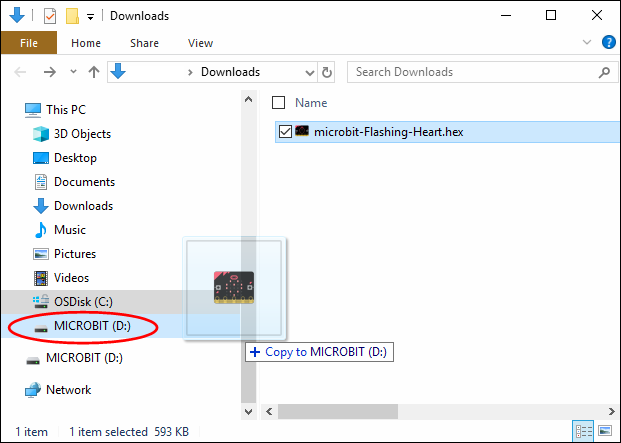 How to compile, transfer, and run a program on your micro:bit on Firefox for Windows. Open your project on https://makecode.microbit.org/. When prompted, choose to save the compiled file onto your computer. The prompt will be different depending on which browser you are using, or whether you are using a Windows computer or a Mac. A window may appear asking whether you want to save or open the .hex file. If it doesn’t, go click on the downloads icon at the top of the browser. 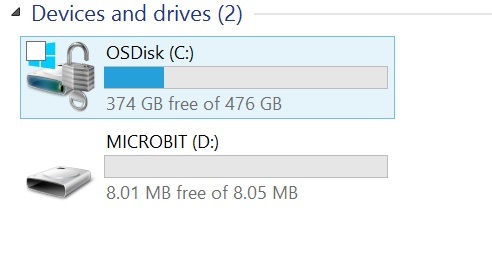 Click the folder icon and copy the file from the list of downloads to the MICROBIT drive.